Leader of the Labour Party since 1965 and prime minister since late 1972, ‘Big Norm’ died suddenly at the age of 51. He was the fifth New Zealand prime minister to die in office. Kirk had faced a number of health issues during 1974 but maintained a punishing work schedule. Following a Cabinet meeting on 19 August he went home to his ministerial house in Seatoun with the flu. On the 28th a heart specialist persuaded him to check into Our Lady’s Home of Compassion hospital in Island Bay. He died three days later of ‘congestive cardiac failure’ and ‘thromboembolic pulmonary heart disease’. The public display of grief that followed Kirk’s death was reminiscent of that aroused by the death of Labour’s first prime minister, M.J. Savage, in 1940. 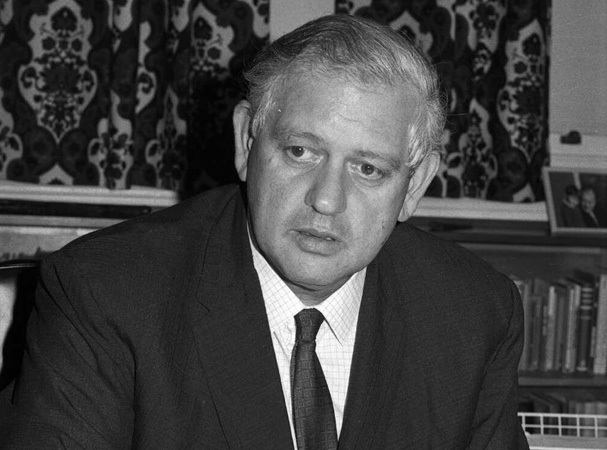 Politician and historian Michael Bassett has described Kirk as ‘Labour’s last passionate believer in big government, someone whose commanding presence and extravagant rhetoric introduced a new idealism to political debate in New Zealand’. Kirk’s popularity with the New Zealand public was perhaps best demonstrated by the song ‘Big Norm’. Performed by Wellington band Ebony, it peaked at No. 4 on the national charts in January 1974 and won the band a New Zealand music award for ‘group of the year’. The last telegram Kirk sent before his death was to Ebony congratulating them on their win. We have 29 biographies, 3 articles, related to Death of Norman Kirk.